This was a Design Build. 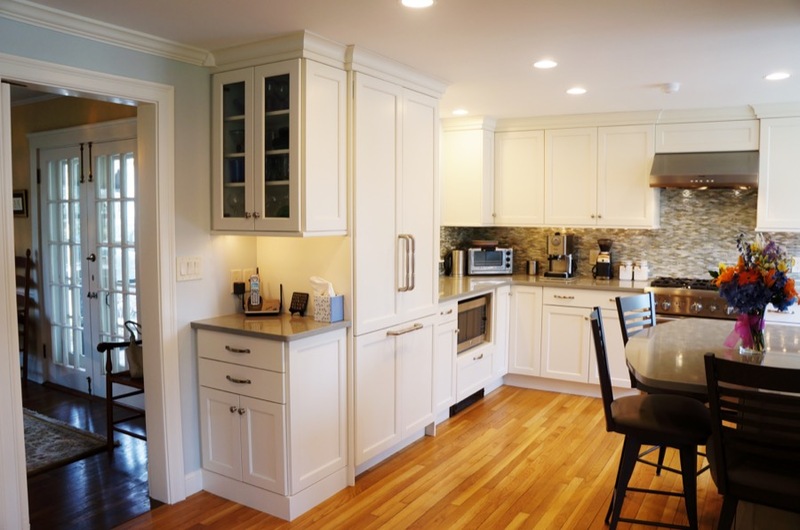 The clients major issues with their current kitchen was the disorganization of their current space in regards to storage options and appliance placement. They were a couple who liked to cook together and be in the kitchen at the same time but were constantly crossing paths. The current kitchen table always seemed to be in the way and they wanted an area to have their grandchildren sit in the kitchen for a snack or lunch but wanted it to be somehow incorporated in with the new cabinetry.